Load ALL the photos of Spenser into my Snapfish account and make photo albums of his first year and second yeat before the 70% off coupon expires. (then) Make Snapfish photo albums so that they are ready for the next time there’s a 70% coupon. (then) Try to make the photo albums for the 50% coupon. Make those albums so that I get them before the holidays and hope they offer another coupon. Call a guy to fix the bathtub thingy because now the pliers aren’t working well and I keep shreading metal into the tub. Figure out how to transfer the music I bought from Amazon that went into an Amazon Mp3 player into my itunes. I mean seriously! How the hell do I do that????? I can’t figure it out!!!! 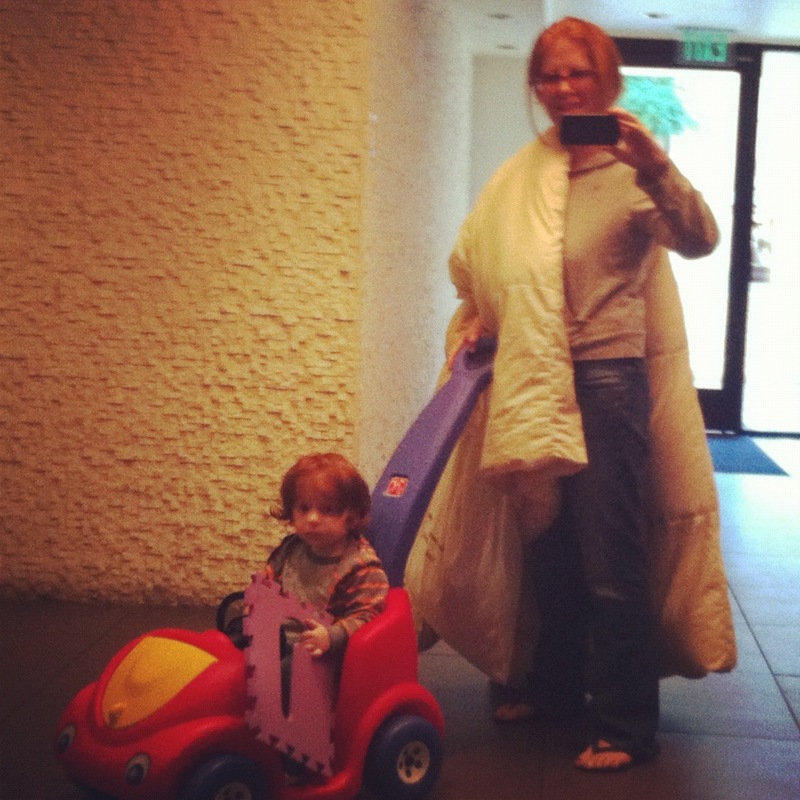 Walking to the dry cleaners (yes, I’m carrying my comforter); S brings a purple J cut out. This entry was posted in MOM STUFF, OFF TOPIC. Bookmark the permalink.